The Space Review is an online publication whose focus is on publishing in-depth articles, essays, editorials, and reviews on a wide range of space-related topics. The Space Review is not a space news site that will publish short news articles on a daily basis; there are plenty of other sites that do that. (Please check out our affiliated site, Spacetoday.net, for links to dozens of space news articles published online each day.) Instead, we plan to focus on articles that will provide a deeper examination of key space issues, events, history, and related topics. The Space Review is a reaction to the difficulties faced by publications, both online and print, which have focused primarily on space. Magazines like Final Frontier and Space Illustrated could not get enough subscribers and advertisers to be viable ventures. Space articles can be found in a variety of other publications, from Air and Space to Discover to Sky and Telescope, but are usually only a small part of their overall editorial mix. Several online publications continue to focus on space, like SPACE.com and Spaceflight Now, but these sites focus more on reporting news (and do a good job at it) than publishing lengthy articles and opinion pieces. There are, of course, a few sites that do publish lengthy articles and commentary, including NASA Watch, SpaceRef, and SpaceDaily, but there is certainly room for more. As the former editor and principal writer of SpaceViews, a now-defunct online space publication, I put considerable emphasis on publishing good, updated space news. 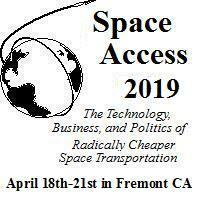 What was often most interesting to me, though, were the articles that explored key events in the history of space exploration, reviewed the themes and outcomes of major space conferences, and took stands on major issues. These were the articles that allowed you to take a step back and get a glimpse of the bigger picture  the ongoing effort to create a spacefaring civilization  that is obscured when you focus on day-to-day events. My hope is that The Space Review can provide that critical perspective by publishing articles that make readers stop and think about where we've been and where we're going in space. This site is still very much an experiment  a beta test, to borrow the jargon of the software world  so I very much welcome any comments, questions, suggestions, even article proposals, that you have that can help make The Space Review even better. Feel free send me any feedback by email to jeff@thespacereview.com.